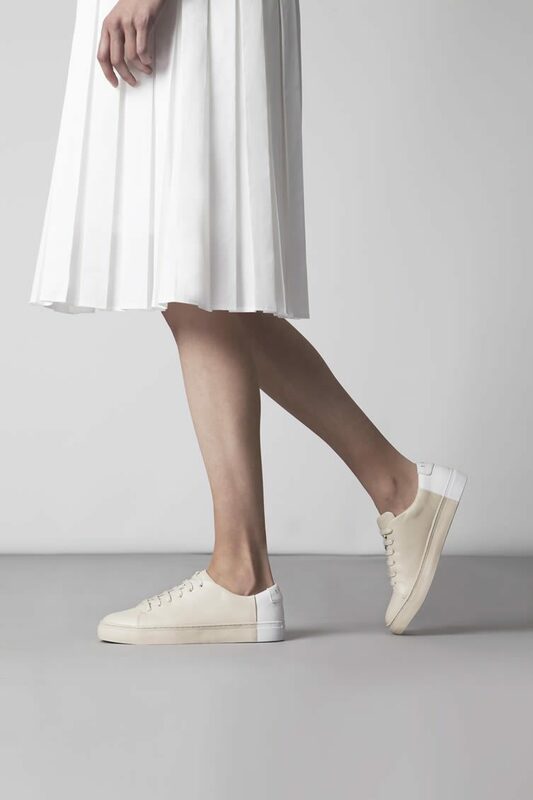 With the re-emergence and newfound popularity of the white sneaker, an enduring style staple, the trainer has recently made a confident comeback. But while popular, many share an almost identical aesthetic, often lacking in originality. 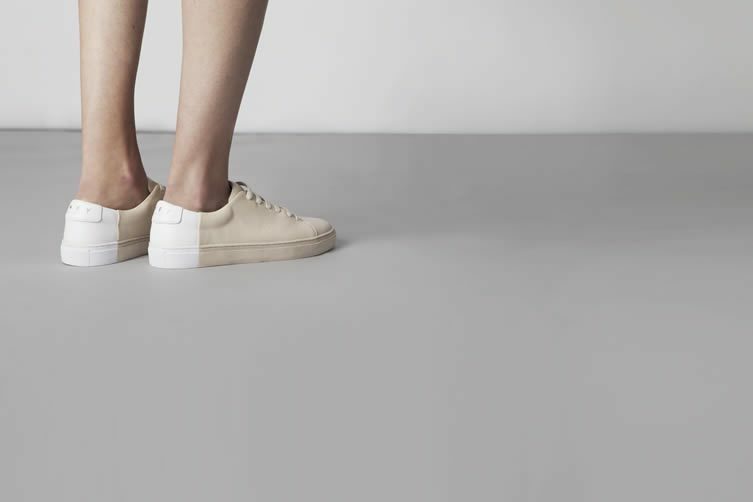 This is where Manhattan-based THEY New York, a new unisex footwear brand, comes in to the picture with a compelling alternative. 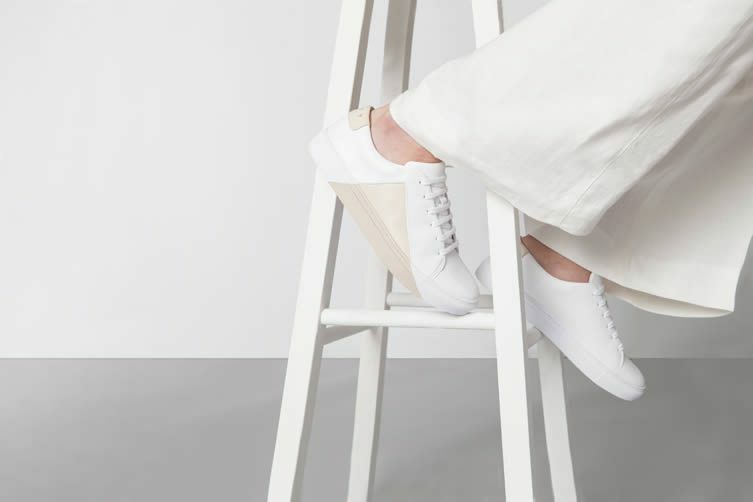 Founded by three friends who share a ‘unanimous passion for minimalist design that captures both practical functionality and an inarguably sophisticated aesthetic,’ the founders draw from over 30 years of family expertise in the Japanese footwear industry. 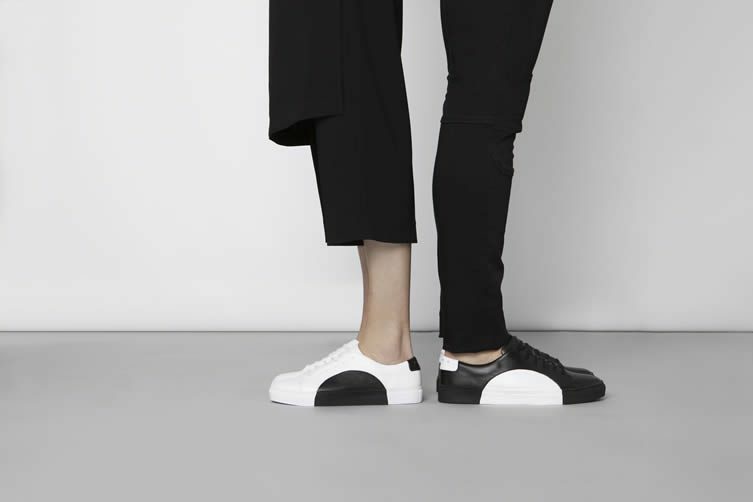 Brother-sister team Jack and Angela Lin are now the third generation to present high-quality footwear to the world, but cleverly execute this with their very own minimalist twist. 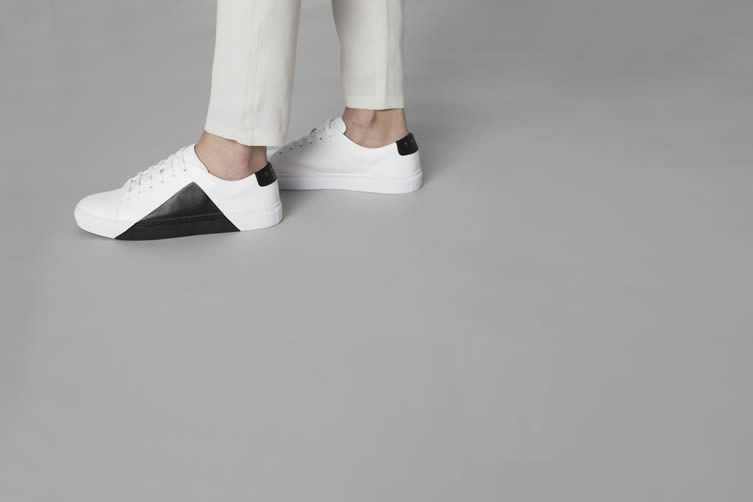 After seeing an abundance of white, minimal sneakers — which simply lacked that certain something — Jack and Angela recognised a need to shake up the industry. 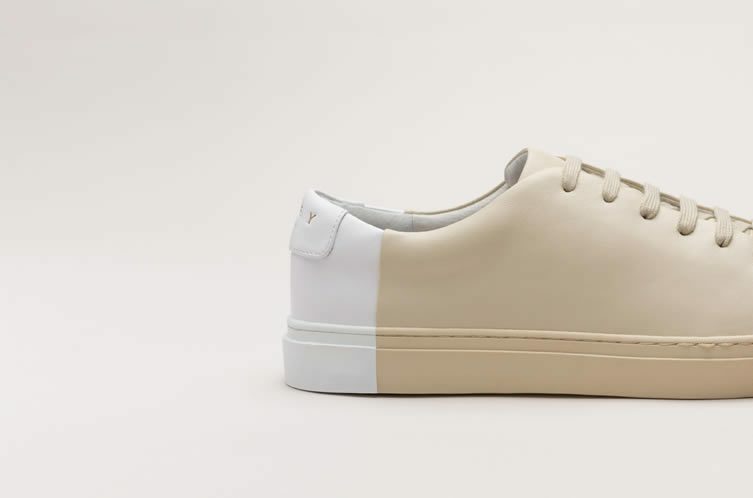 With the shoe as the blank canvas (just like a work of art), the duo visually express adoration for form, colour, and space; just as artists would by means of their work. 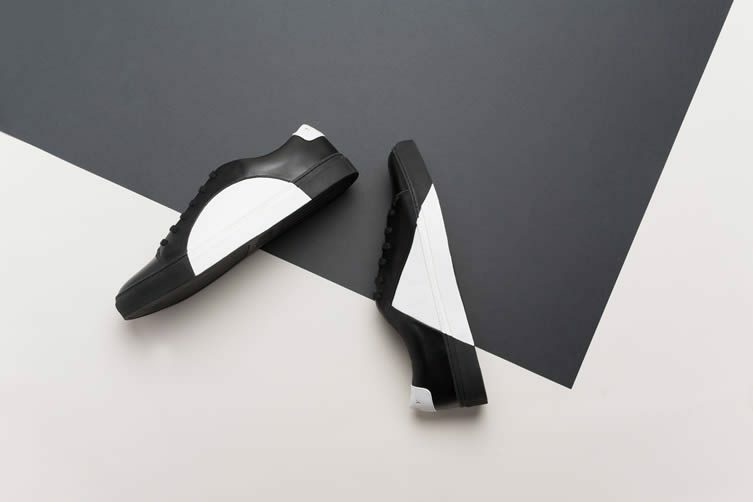 Geometric shapes, embedded within the shoe’s silhouette, are perhaps the most defining feature of every shoe and also the most difficult to achieve, as the team’s craftsmen — all with years of mastery in the art of Japanese shoe making — have developed a meticulous method for hand-aligning the shoe’s upper half with its custom made bi-colour rubber sole, for perfect uniform connectivity, as the founders explain. Undoubtedly sleek, it’s clear that the influence as well as ethos is universal. 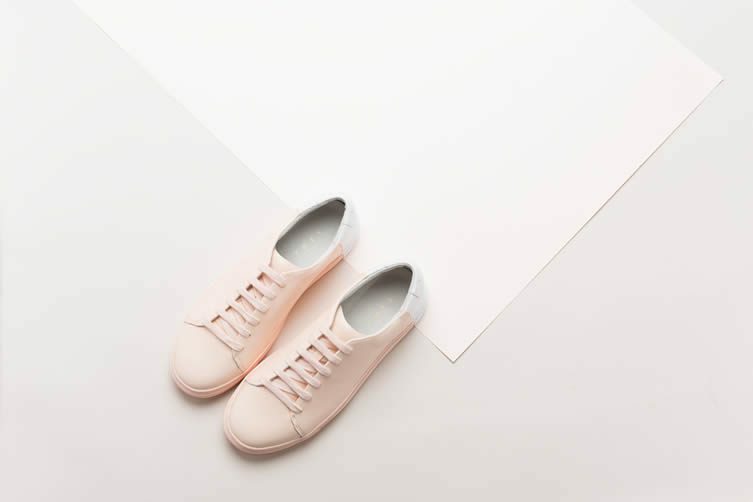 Though the sneakers retain the look of classic white trainers, THEY have gone one step further to create a shoe that is daringly fresh. 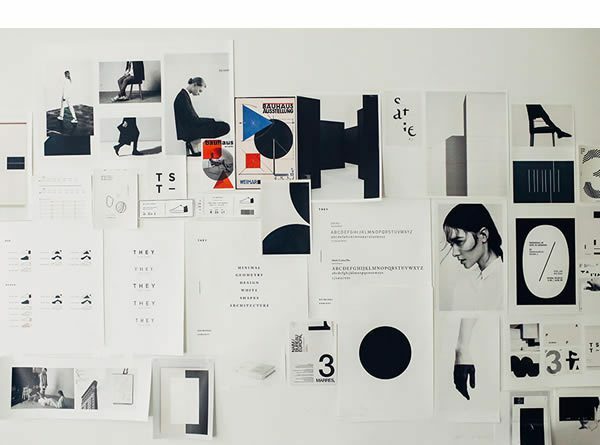 By remaining true to the minimalist ethos, but intertwining their own sense of style, the brand proves that simplicity is the ultimate sophistication. THEY will restock their online store 20 October, shoes are priced $359.